The JLG 1850SJ is now back at the JMS Powered Access fleet. It is available for hire at short notice. Here in the UK, the ever demanding high level applications from telecoms, turbine, petrochemical plants has pushed hire companies to greater heights. 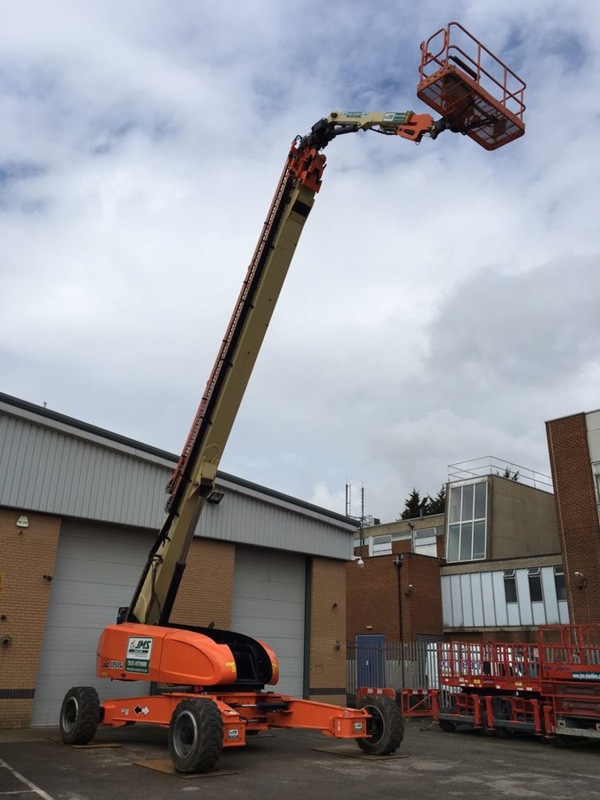 The JMS powered access fleet invested in two JLG 1850SJ boom lifts. The investment continues JMS’s association with the JLG brand, known for earning customer confidence and trust. Working at these greater heights pushes the need for confidence, safety and reliability. JMS recognises the demands of workplace safety, and have chosen this boom lift for its powerful strength. The JLG 1850SJ telescopic boom lift has a maximum working height of 58.57m. A key feature is that it extends from ground to full height in less than five minutes. This allows operators to be more efficient in their work. Telescoping JIB and five section boom provides 82,118 cubic meters of work area and greater power to reach up and over. 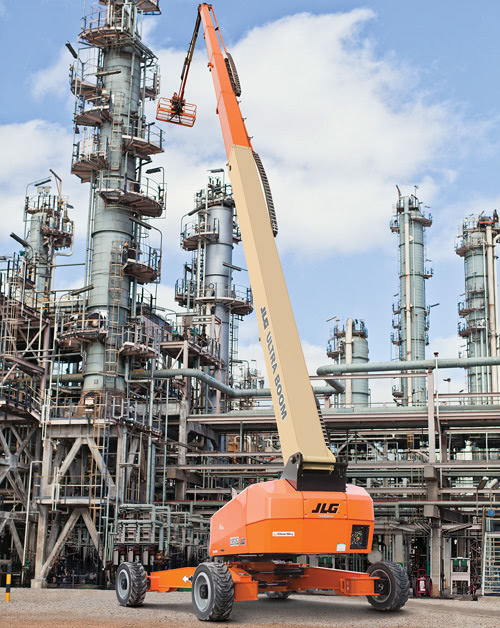 With up to 450kg of platform capacity, the JLG 1850SJ is the most powerful boom available in the world. Operators can feel at ease moving more tools and materials. JMS offers nationwide coverage, with the main depots in Harpenden, Hertfordshire, and Leeds, West Yorkshire. 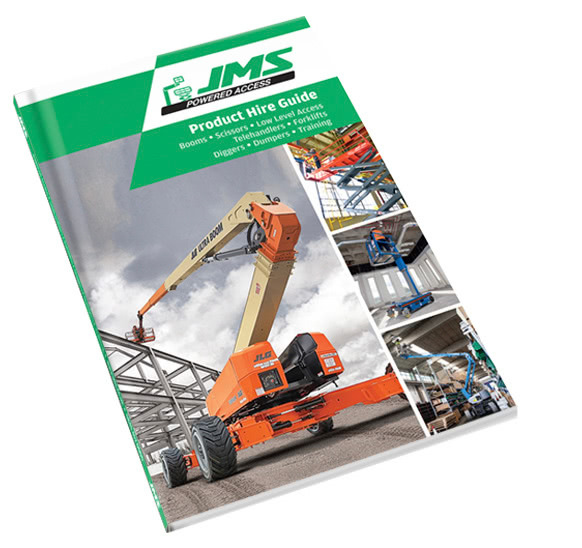 For information about JLG boom lifts, and all other platform hire options, please contact JMS today on 0845 457 0000 or hire@jms.co.uk.